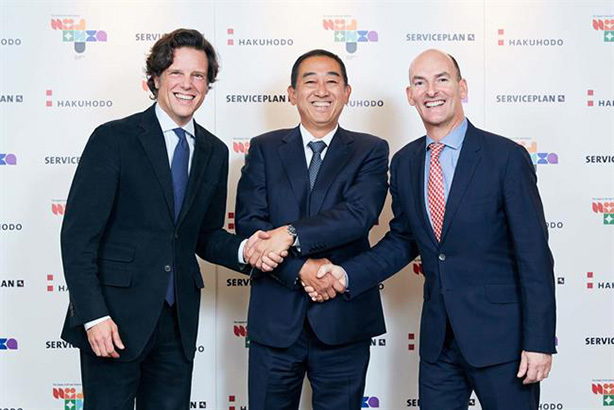 The partnership includes Serviceplan and Hakuhodo. Unlimited Group has signed a strategic alliance with Germany’s Serviceplan Group – Europe’s largest independent network – and Japan’s Hakuhodo Group that will allow the three companies to offer a global proposition to clients. Unlimited comprises TMW Unlimited along with six other agencies specialising in experience design, research, the customer journey, PR and health communications. This includes communications agencies Nelson Bostock, Fever and Health Unlimited. As well as Germany, where it was founded in 1970, Serviceplan has offices in 16 countries including China, France, India, Italy, Russia, Spain and the US. The UK and Japan are notable exceptions. It claims to be Europe's largest owner-operated agency group. Hakuhodo, which claims it is Japan's second largest advertising company after Dentsu, is led by president and chief executive Masayuki Mizushima and dates back to the 19th century. Its greatest presence is in Asian countries, including home market Japan, China, Indonesia, Singapore and Thailand. It also owns agencies in the West, including UK-based Southpaw, which was part of a successful pitch for Honda’s European ad account last year. The three companies have already begun collaboration on an unnamed pan-European pitch taking place this quarter. Tim Bonnet, president of Unlimited, said: "We have had a relationship with Hakuhodo and partnership agreement with Serviceplan for a number of years and, as this grew in success, we are delighted to formalise this into a global alliance. We are really excited about the expanded offering and capabilities this will bring to our existing clients, as well as the agile, innovative and data lead offering we can offer new clients on a global scale." It would help the partners make a "glocal" offer to clients and prospects, Serviceplan chief executive Florian Haller added. The alliance will be led by Bonnet; Markus Noder, Serviceplan’s managing partner, international; and Ayami Nakao Pelata, Hakuhodo senior vice-president, director of branding. It does not involve any exchange of equity or cash at this stage. A version of this article first appeared on PRWeek sister title Campaign. PRWeek added further detail on the PR/communications aspect of the story.